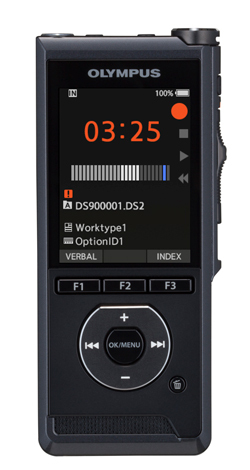 Simplifies professional dictation with enhanced clarity and flexibility. WiFi connectivity, intelligent dual microphone noise cancellation technology and impact resistant body increases workflow efficiency for today’s professional. Superior accuracy. The intelligent dual microphones control the directionality to keep the focus on the person dictating and suppress ambient noise in offices, hospitals, cars, airports and other noisy environments. Durable and Secure. Rugged 1.5-meter-shockproof, alcohol-wipe-resistant body is designed to be a strong, dependable workhorse in heavy-use environments. And with dependable security, including a 256-bit AES encryption system, it far surpasses the capabilities of typical smartphone recording devices. 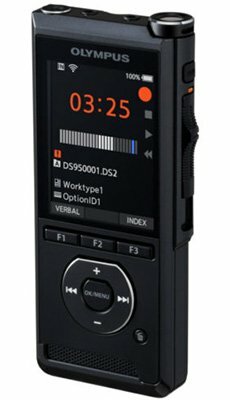 Record and Edit with Ease. An ergonomic slide switch makes recording comfortable and fast, and a classic, intuitive interface allows for single handed and blind operation. Just a flick of the thumb takes you back to your intended place or back-start without looking at the screen.